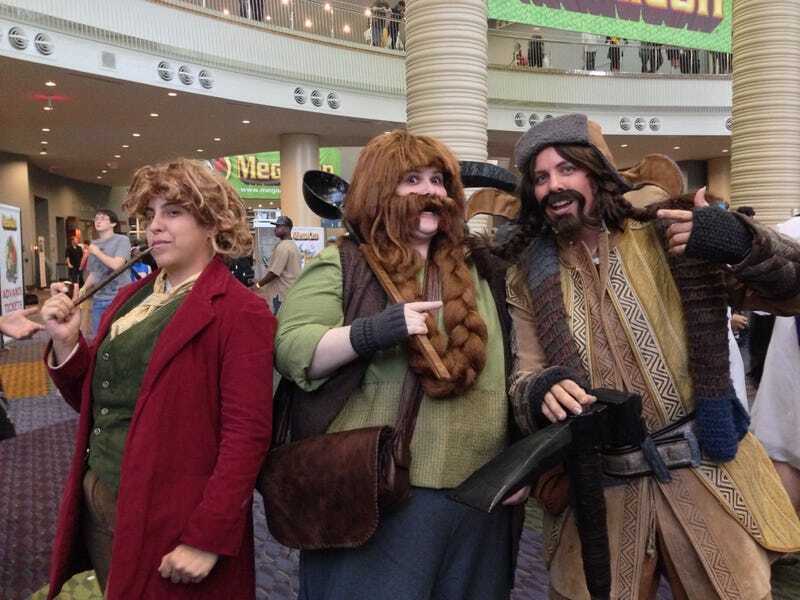 Bilbo, Thorin, Bombur, Bofur, Ori, and Smaug were all at Florida's MegaCon this weekend. They won Best Group at this weekend's MegaCon. More pics below. It seems they encountered Thranduil and Bifur along the way.